The spring collection conveys balance and harmony. Touches of traditional elegance and a casual spirit express a graceful combination defined by modern taste. The new season opens its doors to a fresh, distinctive and authentic style. A contemporary interpretation of elegance is effortlessly expressed through classic references and casual details. The classic Prince of Wales pattern offers a renewed appeal in the spring outfit. The refined combination of natural fibers introduces, through the nuances of a slightly streaked touch, the lightweight effect of characteristic summer fabrics. 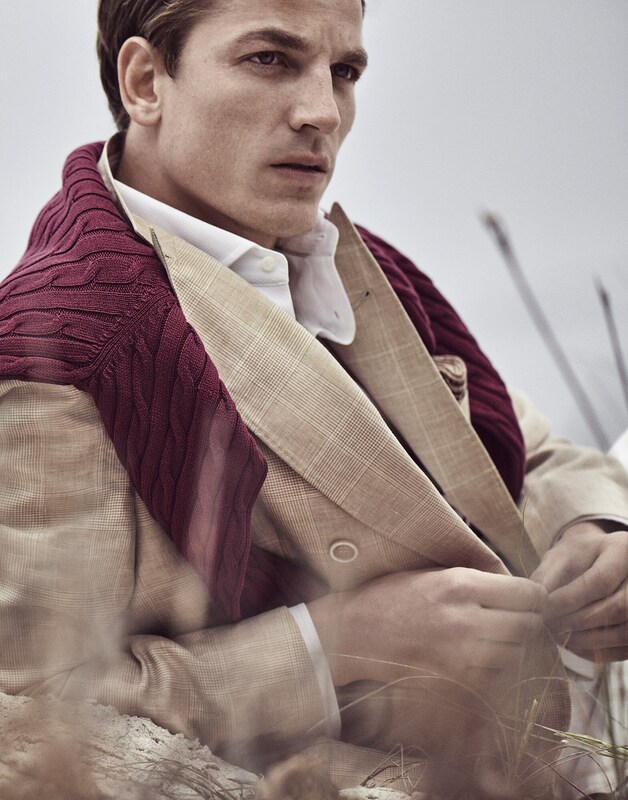 The blazers and outerwear of the season feature masculine detailing and sartorial influences. These signature garments are refreshed through a modern and loose fit, lending a sophisticated and contemporary allure to the looks.